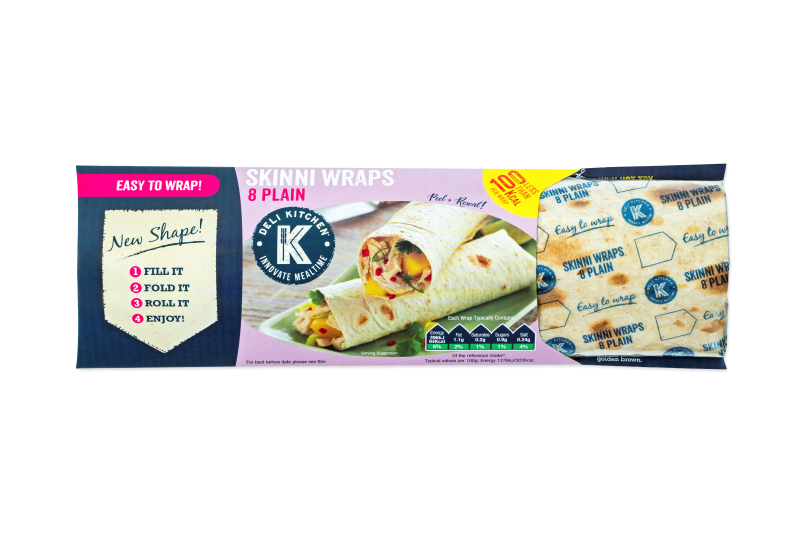 We’re on a mission to innovate meal times and as part of our on-going war on lame lunches, the Skinni Wrap range has been re-launched in stand-out new peel and re-seal packaging to keep the wraps fantastically fresh. We’ve also include some inspirational meal ideas to keep things interesting if you run out of ideas. Skinni sausage rolls…mmmmmmmmm.